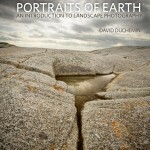 Craft & Vision is David duChemin’s imprint of photography ebooks and if you’ve been reading this blog you know that I’ve read a number of them and generally like them (see reviews of Dodge & Burn and Portraits of Earth). One of the great things about these ebooks is that they’re dirt cheap, at $5 a pop (except for their magazine and a newly released Big Book). Well for the next three days, there’s a 50% discount on everything over at Craft & Vision except the aforementioned magazine and Big Book. The amount of useful information you’ll get for $2.50 a pop is honestly astounding, there are way worse ways to spend your money! I have no affiliation with C&V, I’m just a generally happy customer who keeps being amazed at the quality of their products. Don’t hesitate to ask about specific books in comments if you’re interested. I don’t own them all but I have read a fair few!